Not Exactly Roughing It: Past the Beaver Creek gate lies an idyllic and intimate village where legendary ski terrain meets blissful luxury. A place where immaculate grooming and world-class skiing give way to warm après-ski cookies and five-star cuisine. Here, the mountain brings families together for ice skating, storytelling and frolicking in the snow. The sun shines bright over 300 days a year. Mountain Stats: 310 inches of annual snowfall / 17 Lifts / 1,815 skiable acres / Vertical Rise: 4,040 ft. / Top elevation 11,040 ft / Base 8,100ft / Number of Trails 149 / Longest run 2.75 miles / 19% beginner, 43% intermediate, 48% expert. Driving Times: A 2 hour drive from DIA. Take Interstate 70 (I-70) west, proceed for approximately 120 miles (to the Avon exit #167). Enter the roundabout and continue left. You will be heading south, and should go back under I-70. Continue straight on this road through 4 more roundabouts, after which you will see the entrance to Beaver Creek. Proceed to the Welcome Gate. Award-winning fine dining in a turn of the century ranch house. Located just inside the main gates of Beaver Creek Resort. Offering quick bites and pick up items to go. Located in The Ritz-Carlton, Bachelor Gulch. Casual dining for lunch or dinner. Located in The Ritz-Carlton, Bachelor Gulch. Chef Wolfgang Puck teamed up with The Ritz-Carlton and esteemed hospitality designer Tony Chi to create the newest Spago. Located in The Ritz-Carlton, Bachelor Gulch. The cuisine is American with a distinctly Pacific flavor. Located on Bachelor Gulch Mountain. Located on Beaver Creek Mountain. Amazing cuisine, well-chosen wines, impeccable service, and a unique transportation option to the restaurant have made Beano’s Cabin a favorite destination for years. In the winter, the only way to get up to Beano’s Cabin is by an open air sleigh ride pulled by a snow cat. Live music is performed while diners enjoy an expertly prepared meal. Adults enjoy a five-course dinner and live musical entertainment for $109 per person. Discounts are available for children 11 and under. Please note; these prices do not include alcoholic beverages, taxes or gratuity. We begin taking dinner reservations for the winter season online at beanoscabinbeavercreek.com or by phone at (970)754-3463 on Monday, November 7, 2011. Beano’s Cabin is open for dinner Monday through Sunday beginning Friday, December 9, 2011. Located at the bottom of the Arrow Bahn Express Lift (Chair 17) in Arrowhead Village. Mamie’s unique menu features “grill your own” options of Colorado lamb or chicken and burgers, homemade signature soups, European style hotdogs and a myriad of other options. Located on-mountain at the top of Bachelor Gulch. Located near the base of Chairlifts 9, 10, and 11. The menu is based on Colorado regional cuisine and featuring steaks, seafood, and signature wild game dishes. Located at the base of the eastern slopes of Beaver Creek Mountain. SaddleRidge is opening December 10th for the season. Serving grilled fare and casual cuisine. Located at the top of Centennial Express Lift (Chair 6). Live action bar and grill specializing in local, organic dishes and Colorado’s best microbrews, wines and spirits. Located in the Park Hyatt Beaver Creek. Featuring the best deck in Beaver Creek offering some of the most spectacular views of the mountain. Located slopeside in One Beaver Creek. Stop by and watch as we prepare your sweet or savory crepe. Located next to the ice rink. Hand-tossed NY style pizza, salads, sub sandwiches, and Italian entrees. Located in Poste Montane near the ice rink. Beaver Creek’s first bar/restaurant and still the local’s favorite. Serving Mexican food, burgers, sandwiches, and salads. Located in Ford Hall next to the ticket office. Stop in for a pastry and coffee on your way to the slopes. Located next to the covered bridge by the shuttle stops. Offering Colorado cowboy cuisine for lunch and dinner. Located in St. James Place. Simply serving delicious sandwiches. Located in the heart of the Beaver Creek Plaza. Serving a wide array of sushi plates and Asian dishes. Now located steps from the Centennial Lift. Serving a wide selection of fish, beef, chicken, lamb, and Colorado elk. Located in Ford Hall, plaza level. Mountain fine dining with breathtaking views. Featuring regionally-influenced, seasonally-focused cuisine. Located in The Pines Lodge. Convenient walk-in spot featuring affordable grab-and-go burritos, wraps, snacks, and drinks. Located in Beaver Creek Lodge near the covered bridge. Ideal for a quick breakfast and lunch. Daily Apres-ski featuring Shannon Tanner. Located at the base of Centennial Lift. Featuring an ever-evolving tapas-style menu with signature dishes and a hand-picked wine list in a casually elegant atmosphere. Located in The Osprey. Serving contemporary American cuisine. Located at the Beaver Creek Golf Club. Serving Italian gelato, chocolate, wine, coffee, paninis, and more. Located in Ford Hall, plaza level. Serving classic American grill cuisine for the entire family. Located in Beaver Creek Lodge. Serving the finest contemporary American cuisine. Located in The Chateau. Serving coffee and pastries. Located in One Beaver Creek at the top of the escalators. Offering quick bites, coffee, pastries, complete salad bar and picnic lunches to go. Located off the lobby of the Park Hyatt Beaver Creek. Serving contemporary Italian cuisine in a relaxed yet elegant atmosphere. Located in Market Square next to the ice rink. Beaver Creek’s unique Bavarian style village comes alive at night with enchantment in the air, good food and drinks to be had, Beaver Creek provides a unique après ski scene. Whether it’s location, music, food, or setting that’s important, there’s a nightlife venue in Beaver Creek to fit any agenda. After the children are all cozy in bed, the good times will just be starting. Daily drink specials and the local’s stomping ground. Village Hall. If you like tequila and microbrews, belly up to this bar. St. James. Located in the Park Hyatt, this lounge offers nightly entertainment and serves small batch bourbons, single malt scotch, ports and wine by the glass. The most complete selection of summer casual, outerwear, technical clothing and footwear from Salomon, Arc’teryx, Ex Officio, Tommy Bahama, 7 for All Mankind Denim, Patagonia, Cushe, Desigual, Reef, Keen, and more. We specialize in fashionable and technical clothing to prepare you for the outdoors. Offering top-of-the-line summer sports equipment and footwear. Unique gifts and clothing. Located at the top of the Centennial Lift (Chair 6) in the Spruce Saddle Lodge. Beaver Creek Sports has the most complete selection of summer casual, outerwear, technical clothing and footwear from Salomon, Arc’teryx, Ex Officio, Tommy Ba¬hama, 7 for All Mankind Denim, Desigual, Mystery, Reef, Keen, and more. Specialists in estate jewelry, sterling flatware and holloware. Depend on Patagonia to keep you comfortable and committed to having the most fun in the elements. Located in Gerald R. Ford Hall near the base of the escalators. A chic boutique featuring women’s casual apparel and spa lifestyle accessories. Located in the Park Hyatt Beaver Creek. Sophisticated casual wear for men and women featuring Vail Valley’s finest in shearling and leather outerwear. Please call store for hours. Located in Market Square. Beaver Creek’s premier full service ski and snowboard shop. Located in Poste Montane. A leader in quality resort apparel and gifts for the entire family. Located across from the ice rink at the Park Hyatt. Beaver Creek Pro Shop has much to offer all golf enthusiasts. Offering a full range of high quality merchandise from companies such as Wilson, Slazenger, Callaway, Titelist, Nike, and Ashworth. Located in Elkhorn Lodge. Gifts, souvenirs, gourmet foods and groceries, homemade ice cream, smoothies, chocolates and fudge, health and beauty aids and beer. Located in St. James Place. Demo the best skis, and gear up in our boutique shops with refined, yet casual clothing, ski equipment & accessories. Outdoor clothing, casual wear, accessories, and toys for the young ones. A helpful staff will make sure your child has the right gear for his or her mountain adventure. Located in Beaver Creek Children’s Center in Gerald R. Ford Hall. Would you like to remember your vacation forever? Take a piece of Beaver Creek home with you. Offering the best in logo wear, official Beaver Creek posters, glassware, frames, and souvenirs. Located in the heart of Beaver Creek Village. Elegant floral arrangements, unique gifts and accessories. Wedding and party consultation. The only AIFD florist on the Western Slope. Located in One Beaver Creek next to the covered bridge. A fine selection of beautiful fossils, minerals, and other decorative and collectible objects from nature. Located in Market Square. A highly eclectic gallery exhibiting an array of classical, impressionistic and modern paintings, oil, bronze sculptures and lithographs. Located in Market Square. Offering the best selection and value in embroidered sweatshirts, turtlenecks and other sportswear. Please call store for hours. Located next to the bus stop and covered bridge in Beaver Creek Lodge. Unsurpassed customer service and competitive rental prices on snowboards and demo gear. Please call store for hours. Located in The Charter at Beaver Creek. A unique men’s and women’s fashion shoe store featuring exclusive styling and designs from Europe at a reasonable price. Located in One Beaver Creek next to the covered bridge. Staff of professionally trained opticians provide excellent customer service for exclusive prescription eyewear as well as an extensive inventory of the finest goggles, sunglasses, and eyewear accessories. Located in Park Plaza. Beaver Creek’s only bicycle boutique. Located in Villa Montane. Beaver Creek’s premier children’s store with everything from ski wear to t-shirts, infant wear, footwear, toys, and games. Located in Park Plaza. Featuring the finest collection of mens and ladies furs and accessories for every occasion. Located in Park Plaza. Beautiful home furnishings, fine linens, exquisite crystal and china, and unique gifts. Located in Market Square. Specialists in ski and fashion apparel, ski rentals, demos and service. Located on the Park Hyatt Promenade across from the ice rink. Men’s and women’s cashmere apparel and accessories. Please call for hours. Located in Gerald R. Ford Hall on the plaza level. A unique collection of jewelry and contemporary art. Located in Market Square. Offering the finest in diamond, gold, precious and semi-precious jewelry from exclusive, award winning designers. The Balance Wheel at J. Scott features fine Swiss watches. Located in Market Square. Home antiques, accessories and design. Located in Park Plaza. Representing the works of America’s best sculptors and painters. Located in Park Plaza. Specializing in Estate and Antique Jewelry, Sterling Silver Flatware and Holloware all at affordable prices. Beaver Creek’s only designer boutique specializing in outerwear and clothing for the discriminating shopper. Please call for hours. Located in One Beaver Creek near the covered bridge. Features Native American/Southwestern and Western bronzes, Navajo rugs, pottery, storytellers, Kachinas, baskets and jewelry. Located in the Park Hyatt Beaver Creek. An eclectic snowboard shop with a great selection of snowboards, boots, bindings, outerwear, lifestyle clothing, and accessories from Salomon, Ride, Burton, Thirty-Two, Bonfire, 686, Volcom, K2, Never Summer & more. Located in Beaver Creek Village at the base of the escalators. Paderewski Fine Art and The Sportsman’s Gallery, Ltd. Representing the finest in sporting, wildlife and western artwork by some of today’s most acclaimed artists. Located in the Park Hyatt Beaver Creek. Contemporary glass art by Chihuly, Kuhn, Tagliapietra, Darni and many others. Located in Gerald R. Ford Hall. Located on the plaza level of Gerald R. Ford Hall. Beaver Creek’s newest women’s boutique featuring a unique collection of accessories, jewelry, gifts, handbags, and clothing. Please call for hours. Located in Park Hyatt Beaver Creek. Premier guest service and ski and snowboard rentals in a personal setting. Complimentary overnight ski and boot storage with rental. Boot-drying and daytime shoe storage. Located near Starbucks and Beaver Creek Ski School. The Rentskis.com Gold Club offers premier guest service and ski & snowboard rentals in a personal setting. Complimentary overnight storage with rental. Boot drying & daytime shoe storage. 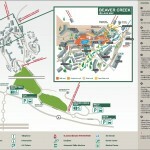 Located near Starbucks and the Beaver Creek Ski School. Casual, cotton clothing in this season’s fashion colors for ladies and little girls. Located in the Gerald R. Ford Hall on the plaza level next to the waterall. Store your skis, snowboard and personal gear in a private locker and enjoy easy year-round secure access to our exclusive facilities. Located in Beaver Creek Lodge. The leader in custom footwear will help you enjoy your sport at its highest level. Located on the upper level of One Beaver Creek. The most complete selection of North Face available. Specializing in fashionable & technical clothing systems. Best in jackets, fleece, thermal underwear, hiking boots, trail running shoes & packs. Located in Park Plaza adjacent to the ice rink. Representing the work of the namesake of the gallery, whose whimsical children and animals are known throughout the world. The gallery also hosts a diverse collection by well known contemporary and traditional artists. Located in the Park Hyatt Beaver Creek. Limited edition nature and wildlife photography from Colorado, Alaska, Africa, and more. Please call for daily hours. Located in Market Square. Past the Beaver Creek gate lies an idyllic and intimate village where legendary ski terrain meets blissful luxury. A place where immaculate grooming and world-class skiing give way to warm après-ski cookies and five-star cuisine. Here, at this luxurious Beaver Creek ski resort, the mountain brings families together for ice skating, storytelling and frolicking in the snow. The sun shines bright over 300 days a year, lighting up 1,805 acres of pristine powder. 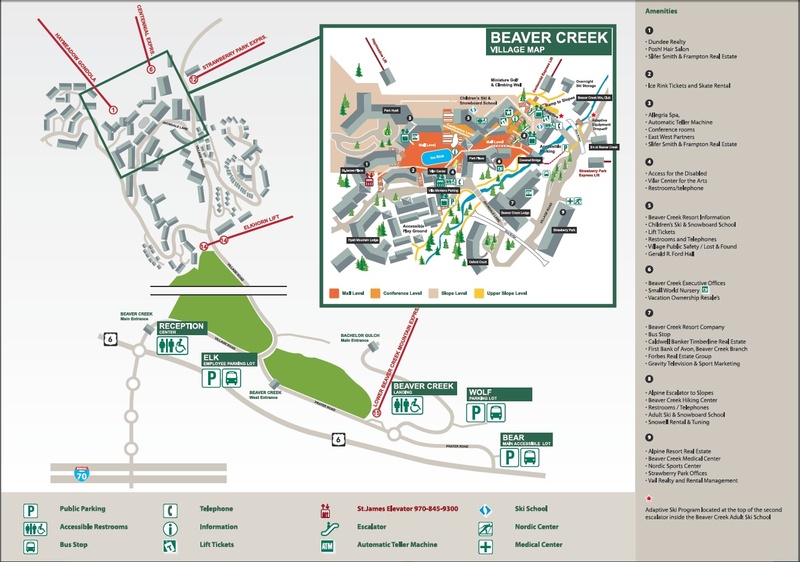 This is the Ivy League of Beaver Creek skiing and snowboarding schools, with classes to challenge and excite experts and beginners alike. Both on and off the slopes, our attentive staff anticipates your every need with unrivaled guest service – to provide you with a Colorado ski vacation you’ll never forget. Luxury this grand beats roughing it, any day. Before the first ski run was ever envisioned, Beaver Creek’s founders and proponents had already laid the groundwork for interminable fish and wildlife habitat protection, travel management, and water and air quality guidelines. These guidelines, still in place today, resulted in the beginning of a continually improving environmental effort. Planners envisioned the most environmentally friendly ski area and village ever built, focusing on sustainability, and being good stewards to the lands. Creation of a village, which blends harmoniously with the environment, gives a sense of permanence and timelessness, and which above all projects a total human quality. The primary mountain ecosystem – the integration of forest and meadow land – has been diligently preserved. A strong concern for the natural ecology of the mountain was carried through the entire design and development process. Resort planners respected, wherever possible natural landforms, existing vegetation, and diverse views. 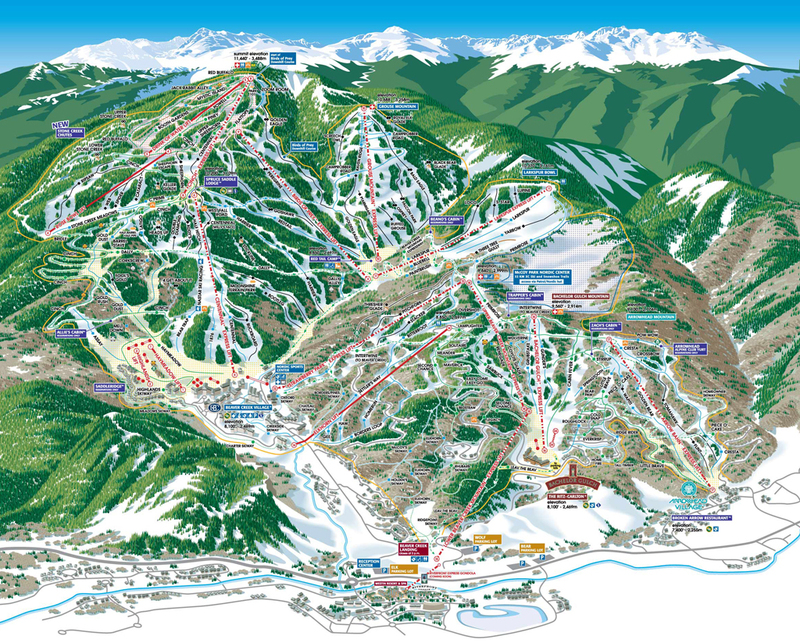 Mountain planners balanced ski-ability with a respect for visual impact. Developing Beaver Creek into a ski area was and still is today, a partnership between the Forest Service and Vail Resorts. The approval process involved multiple agencies and groups, a considerable amount of conditions and approvals, and a lot of forward thinking from all those involved, it was a long process. The entire process of developing Beaver Creek into a World-Class ski resort from the drawing board to an operating resort took a long time. The major factor, which led to this lengthy procedure, was the need for a full recognition and reconciliation of numerous environmental impacts. Beaver Creek encompasses 2,775 acres of public lands. The United States Forest Service has the responsibility of balancing the demands of recreational facilities against the need to preserve wilderness. The Forest Service has stated that recreational development is a form of economic activity, which is one of the least destructive to the area’s long-term productivity. The Forest Service’s jurisdiction over Beaver Creek ends where the privately owned lands begin. In the village of Beaver Creek, a whole new set of environmental rules come into play. Resort officials worked with county officials in formulating and implementing environmental guidelines. Beaver Creek was designed to be a mountain village retreat respecting the historic architectural precedents of mountain buildings and resort communities in both Colorado and Europe, while being an environmentally sensitive project. The village has been designed to emphasize simple understated forms, complementing rather than competing with the natural landscape. Native stone, rough stucco, heavy timbers, and weathered wood were specified as the primary building materials to provide an overall unity, while allowing for individual expression, richness and vitality. Ski-ability, environmental respect and operational effectiveness, what I consider to be the three major design criteria for the mountain, should be synthesized into one product.” “Snow retention, sun exposure, elevation, wind erosion minimization—all the environmental components—are as important to successful trail maintenance as they are to the skier’s skiing and visual experience.” Dean Kerkling, Trail Design Planning.